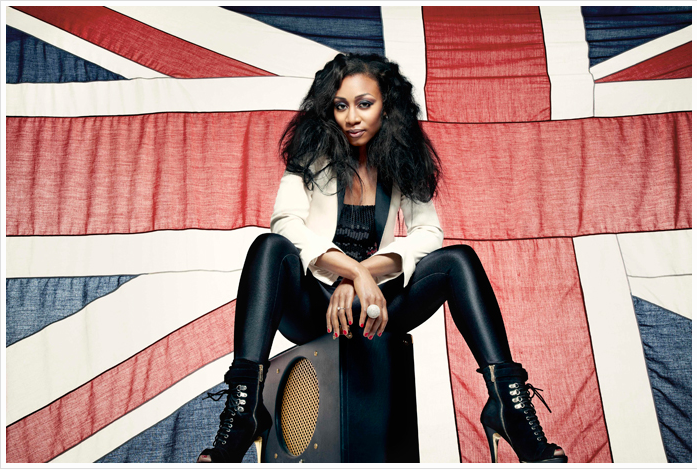 Hear multi award-winning recording artist Beverley Knight sing "I'm Every Woman", for the VERY first time! Beverley will join the cast of the hit West End musical, The Bodyguard, from 9 September 2013 to play the leading role of Oscar-nominated superstar Rachel Marron! In September this year, multi award-winning recording artist Beverley Knight will join the cast of the hit West End musical, The Bodyguard, to play the leading role of Oscar-nominated superstar Rachel Marron. Also joining the cast will be Tristan Gemmill who will play Rachel’s bodyguard, Frank Farmer. Based on Lawrence Kasdan’s 1992 Oscar nominated Warner Bros. film, Thea Sharrock’s production of The Bodyguard has book by Alex Dinelaris. December 2012 saw the world premiere of this production at the Adelphi Theatre, where booking now extends to 8 March 2014 with the release of almost 235,000 new tickets for sale. Joining Beverley Knight and Tristan Gemmill will be Debbie Kurup continuing in the role of Nicki Marron. They are also joined by Richard Lloyd King (Bill Devaney), Stephen Marcus (Tony), Dominic Taylor (Sy Spector), Michael Rouse (Stalker) and Stuart Reid (Ray Court). Ensemble members are Gareth Andrews, Kimball Armes, Christopher Birch, Hannah Fairclough, Robert Gill, Nicky Griffiths, Ben Harrold, Jamie Hughes-Ward, Alex Jackson, Genesis Lynea, Fergal McGoff, Sara Morley, Joelle Moses, David O’Mahony, Stuart Rogers, Kyle Seeley, Danielle Steers, Katy Stredder and Christopher Terry. The young actors who will alternate the role of Rachel Marron’s young son Fletcher will be announced shortly. With designs by Tim Hatley, lighting by Mark Henderson, sound by Richard Brooker and video designs by Duncan McLean, choreography is by Arthur Pita, orchestrations by Chris Egan with musical supervision by Mike Dixon, The Bodyguardis produced by Michael Harrison and David Ian. Tristan Gemmill is best known for playing Dr Adam Trueman in Casualty, a role he played in the BBC’s long-running medical drama series. His extensive television credits also include London’s Burning, Distant Shores, Strictly Confidential and Cape Wrath. His earlier theatre credits include A Street Car Named Desire for Theatre Clwyd, Dangerous Corner for Chichester Festival Theatre, Design For Living for English Touring Theatre and Henry V for the Royal Shakespeare Company. Gemmill can be seen in the newly-released British independent film Flying Blind’starring Helen McCrory and will be appearing again on the big screen later this year in the fantasy adventure film Mariah Mundi And The Midas Box with Michael Sheen and Sam Neill. Top Price Tickets £45.99, was £67.50. Save 32% Ticketmaster Offers correct as of 17:50 on 14/08/2013. Please visit the promoters website for up-to-date offer details.